During June 2003, a trial excavation was conducted in the Arab village of Khirbat Umm Sûr, c. 60 m north of Tel Zoran (Permit No. A-3916; map ref. NIG 19307–11/69000–13; OIG 14307–11/19000–13), after mechanical equipment uncovered ancient remains. 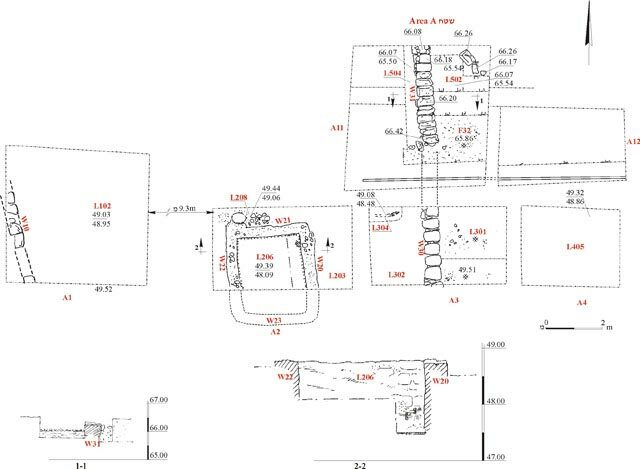 The excavation, undertaken on behalf of the Israel Antiquities Authority and underwritten by the Mehadrin Company, Ltd., was directed by S. Mahajna, with the assistance of V. Essman (surveying), T. Sagiv (field photography), A. Glick (GPS), M. Avissar (pottery reading), M. Shuiskaya (artifact drawings), Y. Gorin-Rosen (glass processing) and E. Yannai. Masonry stones were identified in the area prior to the excavation. Probe trenching by mechanical equipment exposed the tops of walls, in the wake of which seven squares were opened in two areas. Area A. 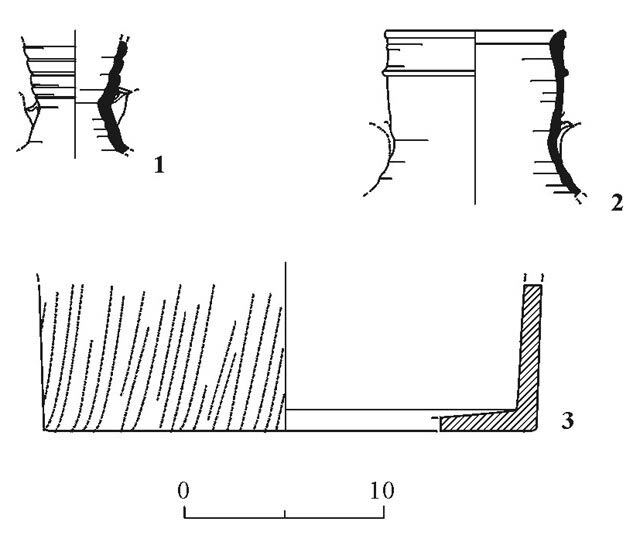 A wall built of dressed limestone and oriented north–south was exposed in Square A1 (W10; Fig. 1); part of it had been damaged in the past by mechanical equipment. A winepress was exposed in Square A2 (L206; 2.9 × 2.9 m). The walls of its treading floor were coated with pink plaster that contained a few potsherds and only a very small segment of its white mosaic floor was preserved near the northeastern corner. Part of the collecting vat (L208) was exposed north of the treading floor; in whose northern wall a tunnel was cut in the middle, allowing the liquid to flow into the vat. The southern wall of the treading floor (W23) had been damaged in the past by mechanical equipment. 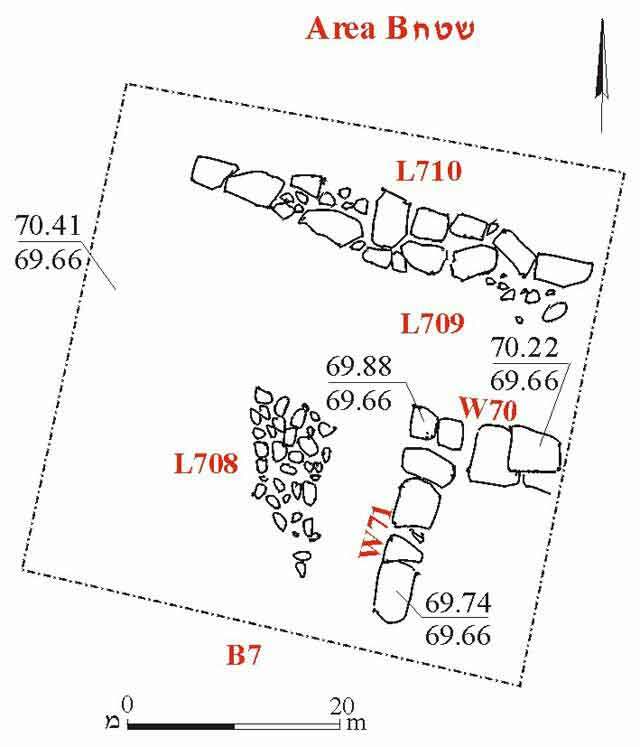 A wall built of dressed limestone (W30) and oriented north–south in accordance with the winepress walls was discovered in Square A3. A light colored tamped earth floor that incorporated a few small stones (L301) abutted W30 from the east. A tabun (L304) was exposed west of the wall. The top of the tabun was lower than the foundation of W30 and the walls of the winepress and it probably predated both of them. A refuse pit without building remains was found in Square A4. Remains of a circular kiln (L504; diam. 7 m; Fig. 2) were uncovered in Squares A5, A6. Its wall (thickness 1.0–2.5 m, preserved height c. 0.35 m) was built of dry kurkar construction. Burnt stone collapse, a few lumps of raw glass and several burnt potsherds were found in the kiln, which was probably used for manufacturing glass. The ceramic finds were dated to the Late Byzantine and Early Islamic periods (sixth–eighth centuries CE) and included bowls (Fig. 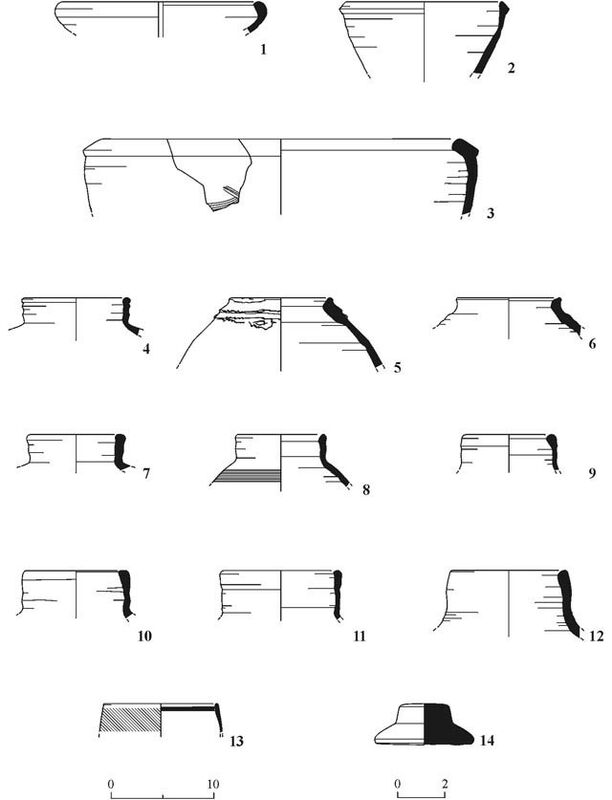 3:1, 2), a basin (Fig. 3:3), a cooking pot (Fig. 3:4), Gaza jars (Fig. 3:5, 6), storage jars (Fig. 3:7–11), a pithos (Fig. 3:12), a Late Byzantine vessel (Fig. 3:13) and a jar stopper (Fig. 3:14). It seems that activity associated with the glass industry occurred in the area; however, the finds were very meager and difficult to date. The exposed glass debris included mostly fragments of very fine quality raw glass and a large piece of kiln debris. The finds do not provide an accurate indication either of the workshop nature or its date; however, most of the glass fragments that could be dated were from the latter part of the Byzantine period. A few fragments were probably from the end of the Late Roman period. 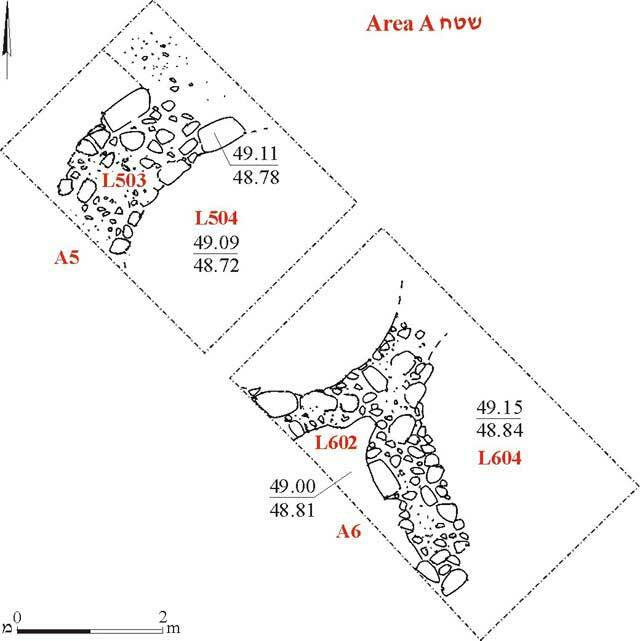 In general, the finds were similar to those from sites where raw glass was produced, such as Bet Eli‘ezer (ESI 13:42–43). Area B. The collapse of two walls (W70, W71) that consisted of dressed kurkar stones was discerned some 300 m east of Area A. The ceramic finds dated to the Ottoman period and included a jug (Fig. 5:1), a jar (Fig. 5:2) and a stone bowl from the Early Islamic period (Fig. 5:3). 1. Area A, Squares 1–4, plan. 2. Area A, Squares 5, 6, plan. 5. Area B, stone and pottery vessels.